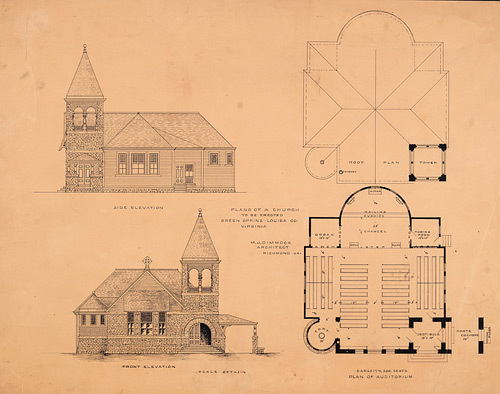 Plans of church to be erected, Green Spring, Louisa County. Marion Johnson Dimmock. N.d. Acc. 36655. Library of Virginia.